Our journey to Everglades National Park began on Saturday, April 11 at Lake Ashton, the retirement community my parents were renting a house in for March and April. Sean and I had flown from Chicago after work on Thursday. Friday evening we’d spent packing for the Everglades and preparing a picnic lunch for Saturday afternoon. Our first destination was Big Cypress National Preserve, which protects 729,000 acres of the northwestern section of the Everglades ecosystem. Because of the habitat diversity in the Preserve, it is critical for the endangered Florida Panther. Some 30-40 panthers live in the Preserve, compared with 8-10 in Everglades National Park. Although it was part of the original proposal for the National Park, the Big Cypress Swamp was ultimately not included in the Park when it was established in 1947. Two major east-west thoroughfares bisect the Preserve, I-75 (nicknamed Alligator Alley) and US 41 Tamiami Trail. This entry was posted in Journey and tagged Everglades, Florida on April 21, 2015 by Brandon Hayes. My parents rented a house in central Florida for March and April 2015. This was the third year they’d spend part of the winter there to escape somewhat the cold and snow of Michigan. For the second year, Sean and I were to visit them for a long weekend. In 2014, we’d stayed four nights, but this year we’d decided to stay for five. The previous year, we’d made some day trip excursions to Bok Tower Gardens, near to Lake Wales, where the senior development they rented in was located. 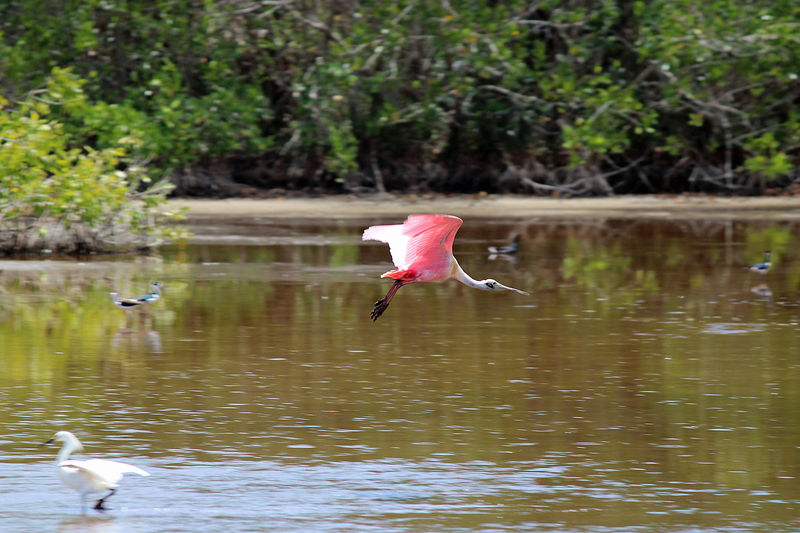 We also, with my Mother, ventured an hour away to the Atlantic coast and Pelican Island National Wildlife Refuge. And Sean and I drove the hour and change to the Gulf and Crystal River National Wildlife Refuge to see manatees. This year, since we were staying longer, I thought I might be able to convince everyone to do one of the three Florida National Parks. Dry Tortugas was both too far away and already claimed as a trip by others. Everglades seemed to big. So my initial focus was on Biscayne, south of Miami. As I began investigating Biscayne, I discovered that the park currently has no contracted concessionaire to provide visitor services. So we wouldn’t be able to take a glass-bottomed boat tour. Or get out onto the water of an almost all-water park. By default, then, the 1.5-million acre Everglades National Park at the southern tip of the Florida Peninsula would become my fourteenth park, Sean’s twelfth park, and the first National Park I’d visit with my parents. 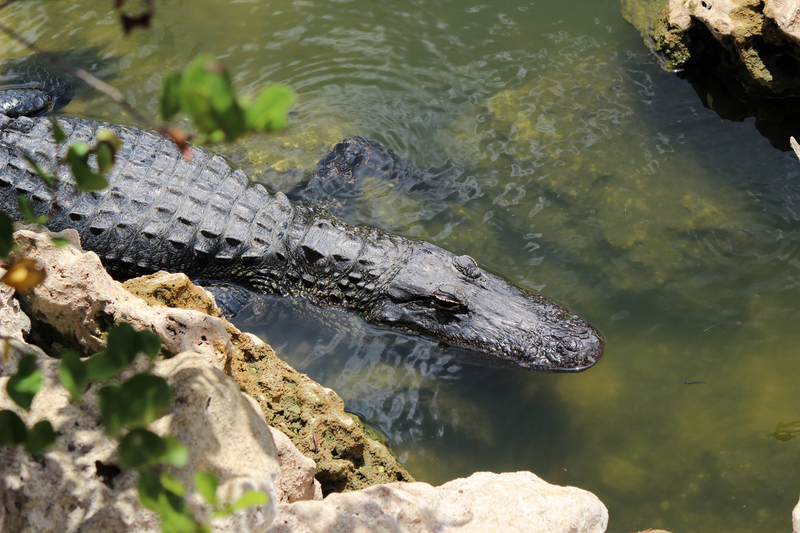 This entry was posted in Journey and tagged Everglades, Florida on April 20, 2015 by Brandon Hayes.